Bounce Bounce Bouncy Castles operate in Lancaster, Kendal, Morecambe, Carnforth, Lancashire, Cumbria and North Yorkshire, providing an Inflatable, Bouncy Castles, Bouncy Castles with slides, Giant Slides, Rodeo Bulls, Bungee Runs, Gladiator Dual's, Ball Pools, Soft Play, Sumo Suits, Inflatable Santas Grotto's and Garden Games hire service for all occasions. 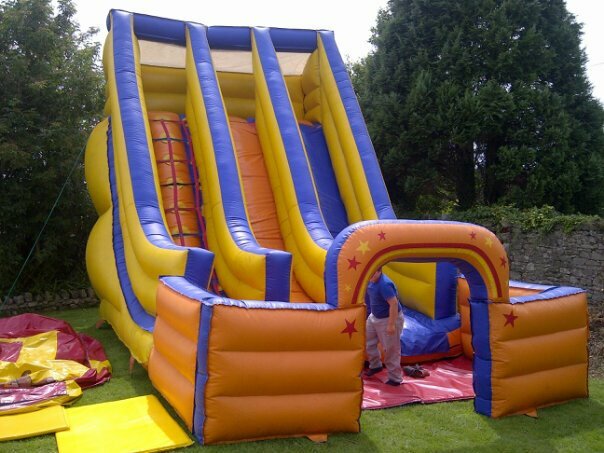 Indoor and outdoor, Kids and adult bouncy castles alike. Pirates, Jungle, Party theme and many more themed bouncy castles. Along with all the latest giant garden games. All with full delivery, set-up, break down and take away. All the towns villages in the bay area covered. We are based in the Lancaster, Morecambe and Carnforth area but we also travel all over Lancashire, Cumbria and North Yorkshire, subject to delivery charge.